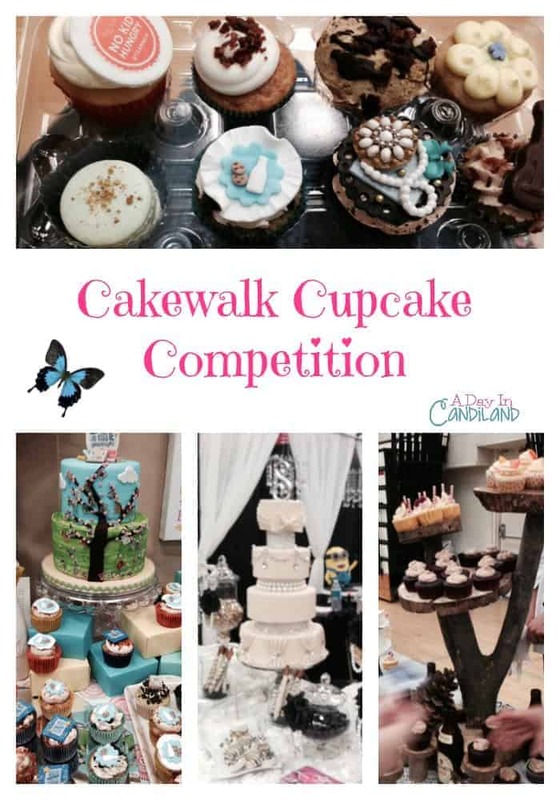 Last weekend a friend and I drove to Redlands, in Southern California, to eat our way through the Cakewalk Cupcake Competition. I have been to several different ones in the last few years and this one seamed to be the most organized. I am sure it is a difficult challenge to put on something like this. Usually the bakers have to bake for free since it is usually a benefit. Which means several of them just don’t show up. Also depending on the time of year our weather doesn’t always play nice. Living in 80 degrees year round average and this last week it was close to 90 degrees, which cupcakes just don’t like. For $20 we received a t-shirt, a bag, some fondant and a container to hold 12 cupcakes which we were going to scout out the ones we wanted to eat or take home. A few years ago, one of the events ran out of cupcakes. It was sad and people were complaining. This year they had plenty and they were all full size. Most of them were decorated very nicely. 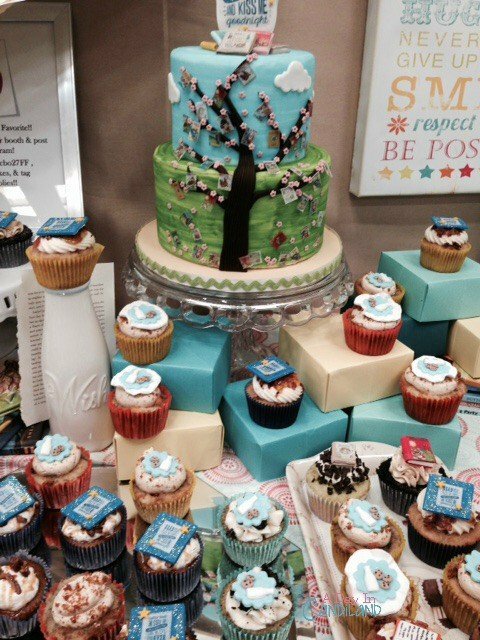 This competition was hosted by Cakewalk decorating supplies and it benefited No Kid Hungry. They were located just a few blocks from the event, which we visited once we were done eating and I bought a few supplies for my own cupcake decorating. At this point I am not sure who took first place. They had more cupcakes than I have seen in one place before and it was very crowded. They sold lots of tickets and you could even buy extra cupcakes when you were done. 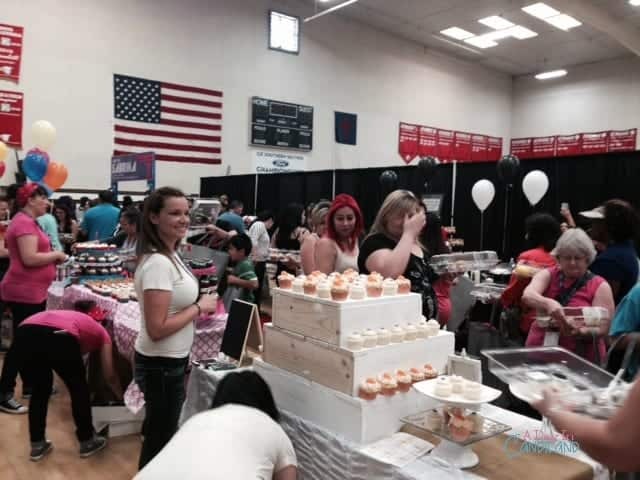 There were approximately 75 bakers making over 300 cupcakes each. 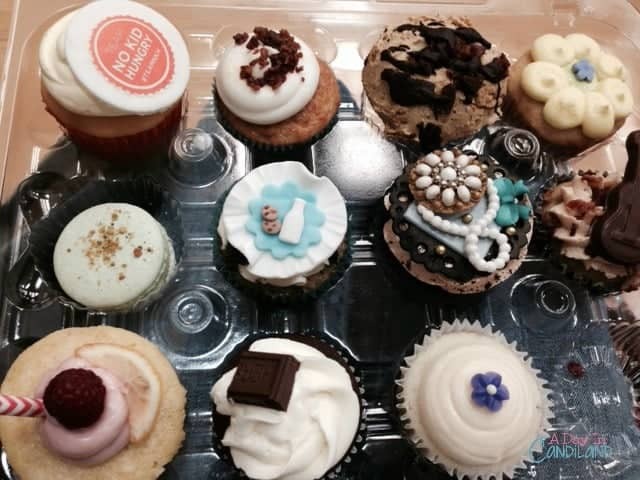 Now that’s a lot of cupcakes. Some made cake pops and some made cookies, but overall it was cupcakes. Once we picked our cupcakes we sat down and took one bite from each one. Just enough to get a taste of the cake and the frosting. I preferred ones that were filled, and look how pretty they were. 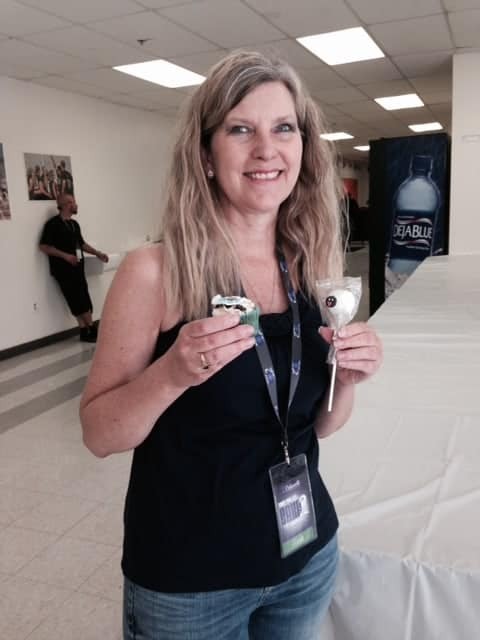 This was really a fun day, and I enjoyed all the cupcakes, and did you see the cute sheep cakepop I am holding. I brought that to my daughter. She said it was delicious. 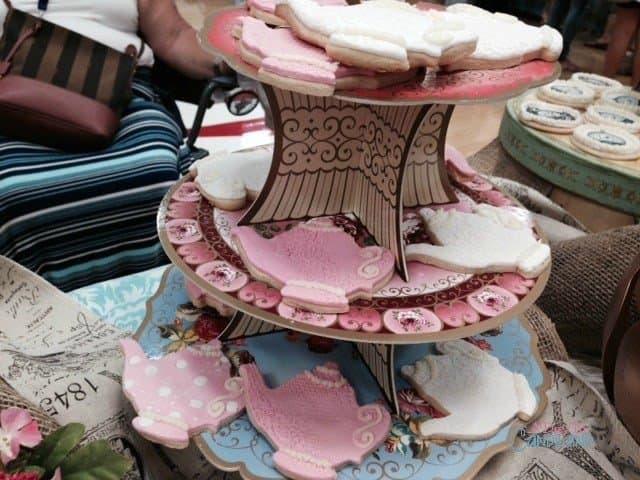 Also I love the teapot cookies.